Family and volunteers on Tuesday continued the search for Kyle Myrick, who was last seen Friday at a San Jose motorcycle shop where he worked. Police believe the 28-year-old Myrick was murdered. His body has yet to be found, according to authorities. Tuesday's search included the use of a drone from volunteer Alvin Alejandro. In addition to scouring video captured by the drone, volunteers also searched near the Lexington Reservoir and along the coastline in Santa Cruz. Police are asking for the public's help in the case. Investigators want to know if anyone spotted a white GMC truck with tinted windows anytime between 6 p.m. Friday and 2 a.m. Saturday. 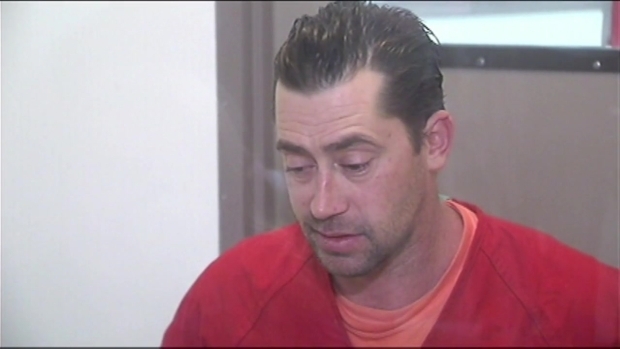 A Los Altos man who was arrested on a murder charge after police presume he killed his co-worker told NBC Bay Area in a jailhouse interview on Monday that he didn’t do it and he was set up. The truck belongs to Steve Hlebo, who is Myrick's co-worker. Hlebo, 39 and a resident of Los Altos, is currently behind bars after he was arrested on suspicion of killing Myrick. In a jailhouse interview Monday, Hlebo denied killing Myrick and said he had been set up. "I know I had been drugged and I know there is more than one person involved who wanted me framed," Hlebo said during the jailhouse interview. John Sparry, Myrick's stepfather, said he thinks Hlebo is lying. For now, Sparry is focused on finding Myrick, who he said was always helping his friends. "He was a fun guy," Sparry said. "He had lot of friends and was always willing to help out." Myrick's family on Tuesday also asked Marc Klaas with the Poly Klaas foundation for help with the search.